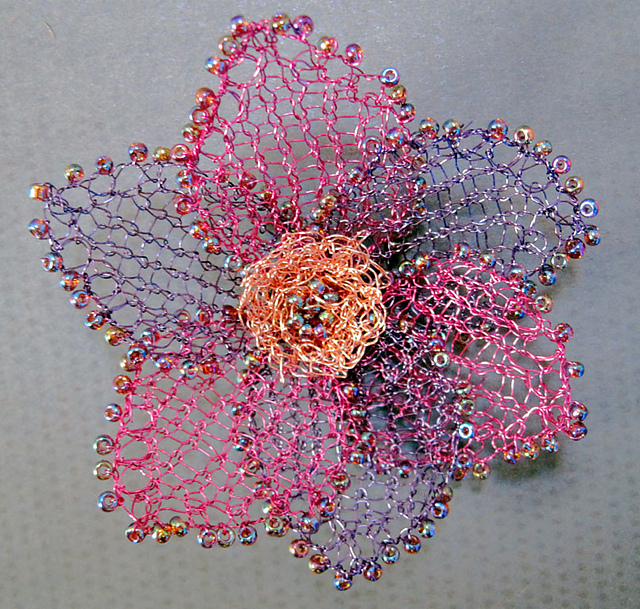 Wire crochet tutorials are much more common than knitted jewelry tutorials. So it is a good day when I find the latter. British knitter shared 3 different ones on Ravelry - free download. 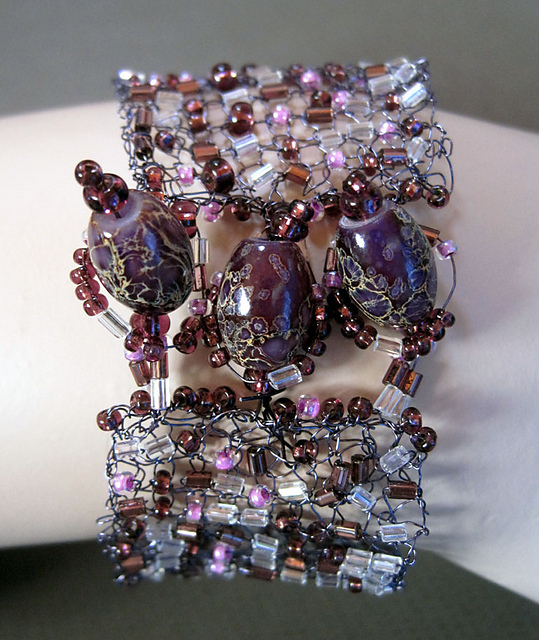 She called her knitted jewelry tutorial collection the Diamond Jubilee Jewels because she created them for the special anniversary of the long reign of Queen Elizabeth II. 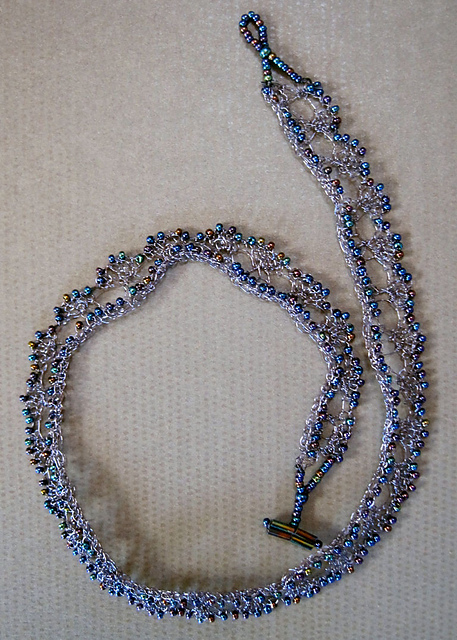 Beads have to be pre-strung onto the wire. 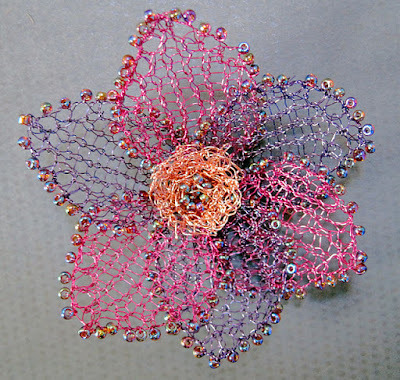 The beaded knitted wire flower was my favorite. You could add a jump ring and make it into a pendant. Or wire a pin finding at the back to make it into a brooch. Her other tutorials are for making a beaded necklace and cuff. The informal wiring style is not for everyone. But don't you think it is fun to knit something other than yarn once in a while?